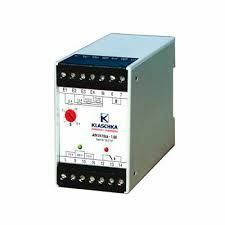 Klaschka has been developing and manufacturing electronic components and systems for the automation of plant and machinery for more than 50 years. These products (Sensors, Controllers, Double Blank Detectors and Sheet Thickness Sensors) are employed for detecting, positioning and checking, for controlling and regulating, for monitoring and detecting errors, and for operating and observing. Certified Safety Switches and Controllers are available for safety-critical applications. Typical applications are: Production lines for automotive industries, presses and forming technology, textile machines, printing machines, packaging machines, conveying technology, machine tools, robotics and assembly technology, water and sewage systems, railed and commercial vehicles.